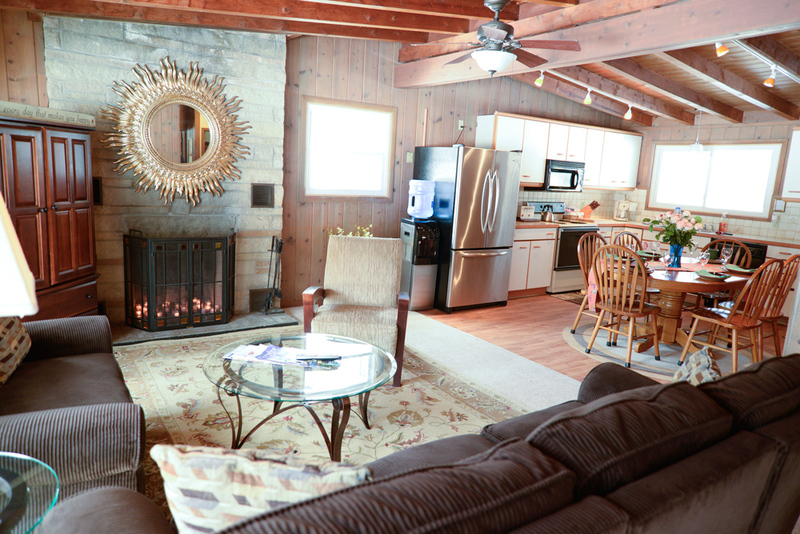 Three guest rooms and one cozy cottage. Our three beautifully decorated guestrooms (Enid’s, Ethel’s and Saida’s) have all been appointed with the most discerning guest in mind. 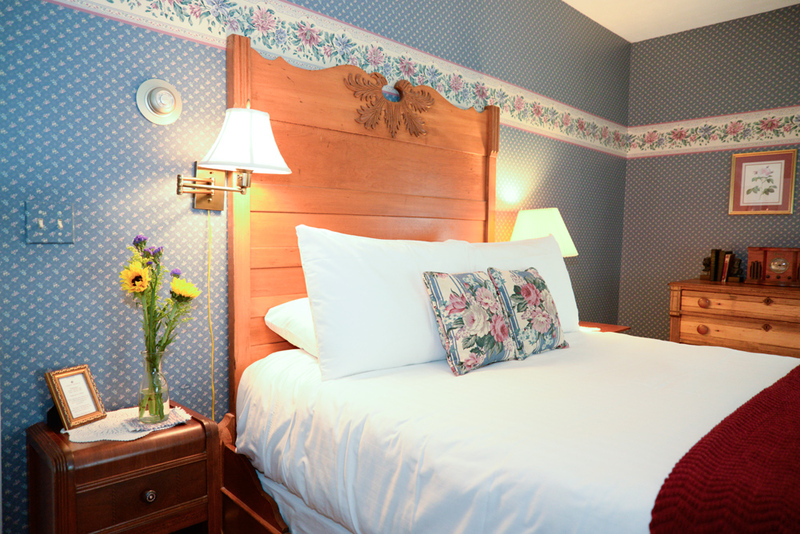 All of our Guestrooms are non-smoking and provide full private bathrooms. Private label bath products are typical of the personal details and service you will find at Beechwood Manor Inn Bed and Breakfast. 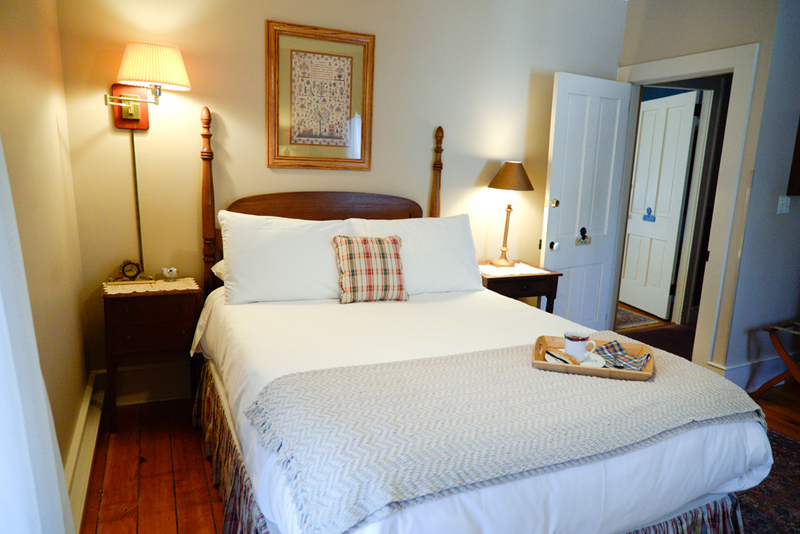 With the addition of our new three bedroom cottage (breakfast not included), we are able to comfortably accommodate children and small pets which is something that we cannot do in the Bed and Breakfast. 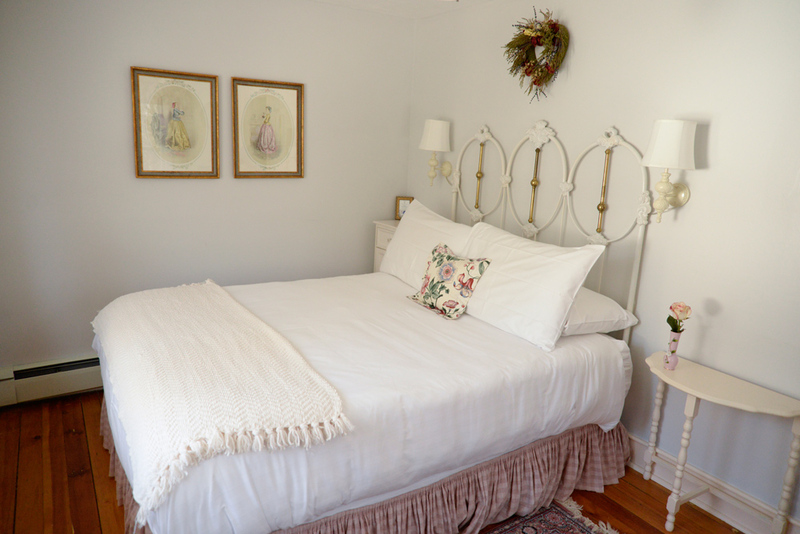 All of our amenities and pampering service, along with our ideal location, will help make your Saugatuck Bed and Breakfast experience unforgettable. Click on any of the rooms below for more information. Our medium sized guest suite is tall on charm. An ample fireside seating area offers an intimate spot to enjoy a glass of wine or late night snack.